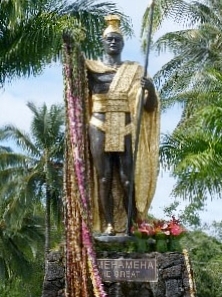 Although there is some debate as to the precise year of his birth, Hawaiian legends claimed that a great king would one day unite the islands, and that the sign of his birth would be a comet. Halley’s comet was visible from Hawai`i in 1758. 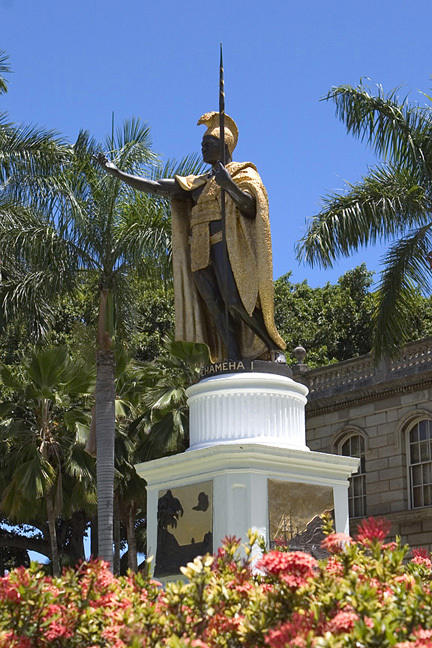 The name Kamehameha means “the one set apart.” For 13 years, from 1782 to 1795, he waged numerous battles to conquer the islands, ultimately uniting the Hawaiian Islands in 1810, becoming the first king, and establishing a dynasty that endured for over a century. As king, Kamehameha took several steps to ensure that the islands remained a united realm even after his death. He unified the legal system and traded shrewdly with the foreigners that followed Captain Cook. He did not allow non-Hawaiians to own land and this edict ensured the islands’ independence during a time when other Pacific island nations were succumbed to colonization. When Kamehameha died in 1819 his body was hidden by his trusted friend Hoapili, and his wife Keopuolani. It is said that only the stars know Kamehameha’s final resting place. Each year on June 11th a state holiday honors Hawaii’s first monarch. In addition to the traditional draping of lei on his statues, floral parades take place throughout the islands. 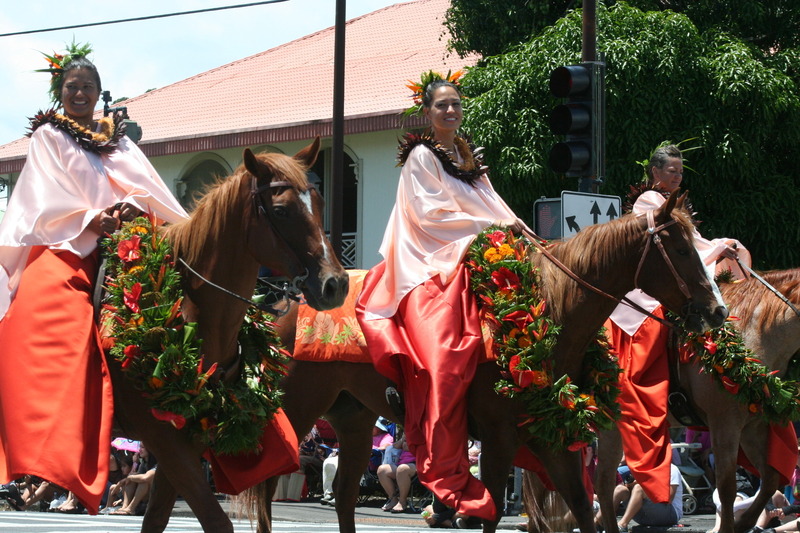 With hundreds of riders on horseback, the parades showcase pa‘u equestrian units, marching bands, private mounted units, hula halau, float s, and more.